While the season isn't over yet, there are only a handful meets left for our wrestlers. I also realized I've taken so many wrestling pictures and only shared a few thus far so I figured a photo overload post is about due. 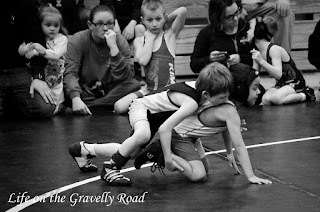 Wrestling has been a big part of our winter weekend schedule. Since the boys have really been enjoying it and asking to go to meets, we've gone to a few more than previous years. Oldest has really been working hard this year. 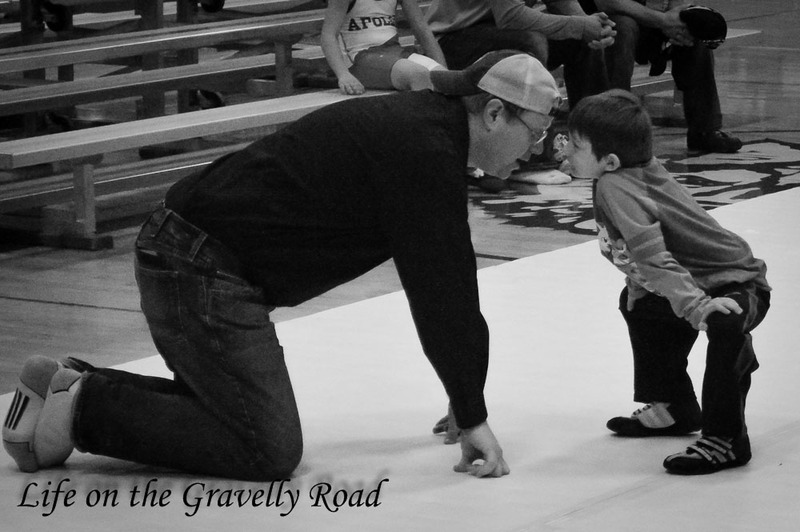 He has a better understanding of the scoring and strategy of a match. 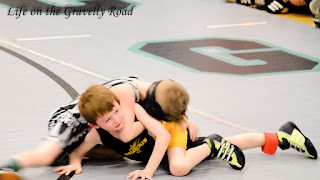 He's also doing a better job of adjusting with suggestions from Dad while he's wrestling. So far he's gotten one first place (first time he's been able to do that) and several second places. 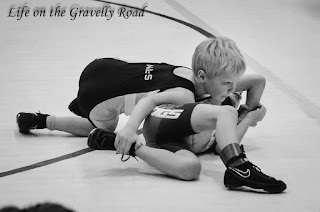 He's gained a lot of confidence and works hard regardless of whether the match is going his way. 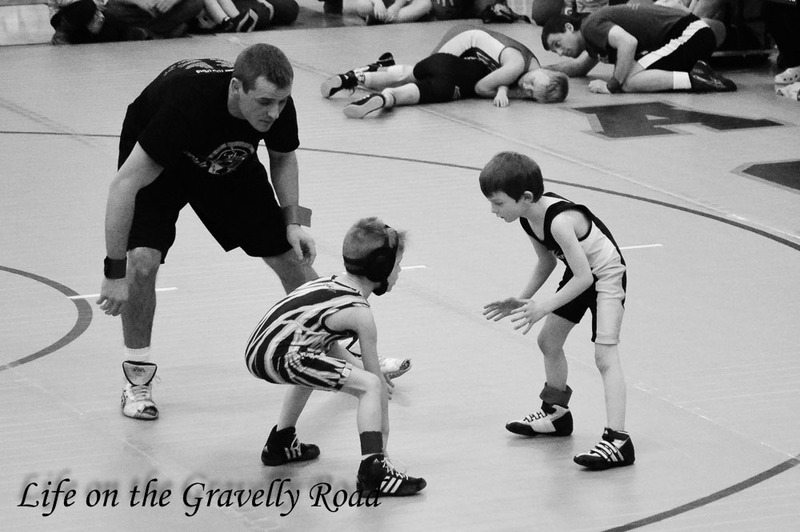 It has also been so great to see how he encourages his brother during warm ups and matches. 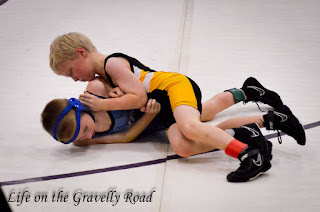 Middle child has taken to wrestling this year with gusto. His small size, determination, and quickness have been an advantage. He has gotten second place quite a few times this year but has also had some really tough matches. 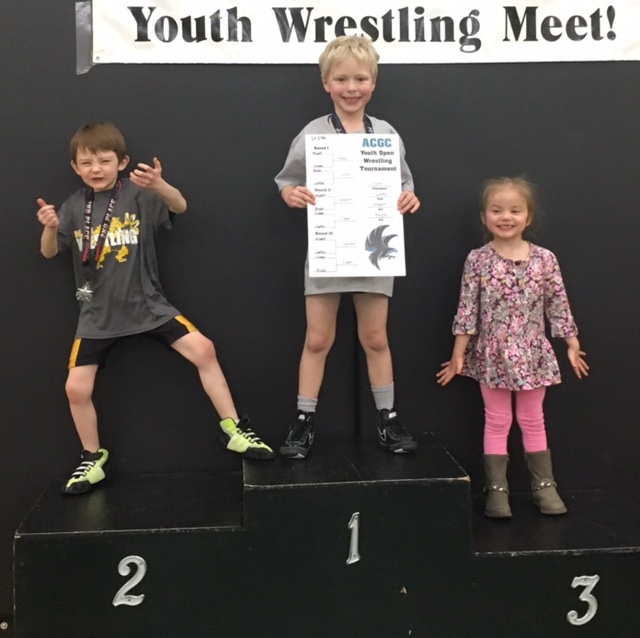 It makes me smile to see his proud face with his medal after a meet. He's learned so much and really enjoyed himself in the process. 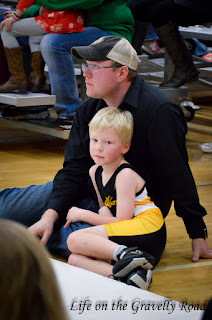 what warms my heart the most is all that extra time they get with Dad and the connection that time is building. 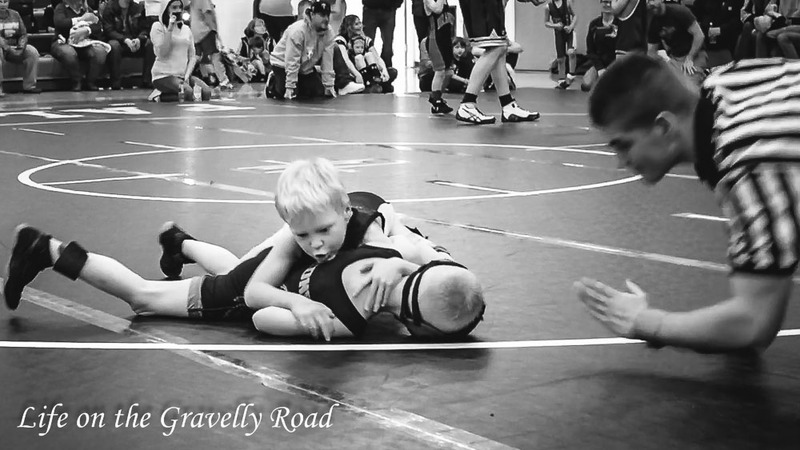 Just some of the wrestling weekend snapshots from our crew on the gravelly road.